Indian Space Research Organisation (ISRO) is in the process to build reusable launch vehicles and is working on new technologies for interplanetary missions. ISRO Chairman AS Kiran Kumar while delivering an inaugural talk at Physical Research Laboratory (PRL) on Wednesday, said, "We are also on the lookout for equipping with capabilities to carry objects in multiple launches than single launches. We want to reduce cost of access and hence are building reusable launch vehicles." PRL has organised a three-day brainstorming session on 'Vision and Explorations for Planetary Sciences in Decades 2020-2060'. The event is aimed at providing a forum for planetary researchers and academicians to explore, discuss and present the latest trends, promote understanding and exchange results and opinions in the area of planetary sciences and explorations. Speaking about the need of the hour, Kumar said, "We need to develop capabilities by solving problems going into deep space also. We need to remain relevant and need to solve issues differently. The world is changing very fast and private entrepreneurs are entering the segment." Speaking about future of Mars exploration, he said, "The next step would be to search for signs of life and investigate resources that could support human habitation." There are many newer institutions which are setting up an astronomy department in their institutes. One of the IITs have roped in NASA scientists for the astronomy department. Questioning the audience whether any of them are a part of the event at PRL, he said, "The linkage within our country is not good. We need to also work on linkages." 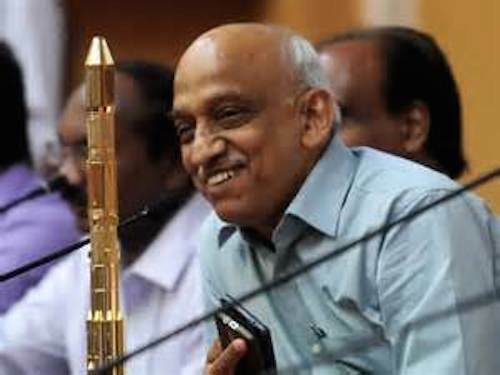 AHMEDABAD: Isro chairman A S Kiran Kumar at a brainstorming session at Physical Research Laboratory (PRL) on Wednesday said that upcoming space programmes and the science involved in them should focus on 'to search suitable planets for human habitation'. He urged space scientists and planetary science experts at PRL on identifying potential scientific targets, development of indigenous instruments and also strengthen research and outreach activities to achieve this aim. Kumar was addressing 250 scientists gathered from all over the country at the inaugural session of a three-day session on Vision and Explorations for Planetary Sciences in Decades 2020-2060. Kumar also spelt Isro's plans for solar system exploration in the future. Dr George Joseph, chairman-ADCOS-ISRO, emphasized the role of new ideas from Indian scientists to explore science and habitability of other planets.